Hi everyone! 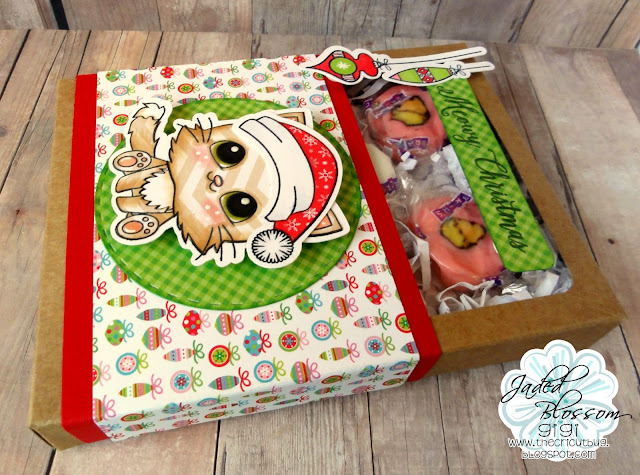 This is GiGi from The Cricut Bug and I have a super cute treat box to share. I started this project with the Kraft Boxes and added some paper shred and candy to the inside. 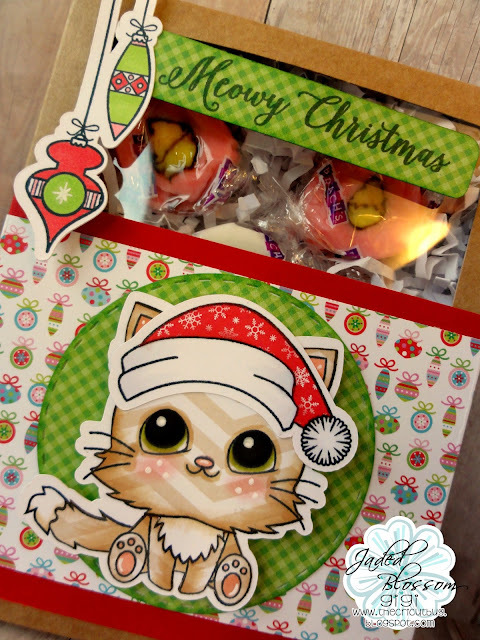 I stamped and paper pieced the kitty from the Kitty Dress Up stamp set, adding the santa hat. I cut the background mat with the Stitched Circle Dies and added them to a belly band I made with decorative paper. 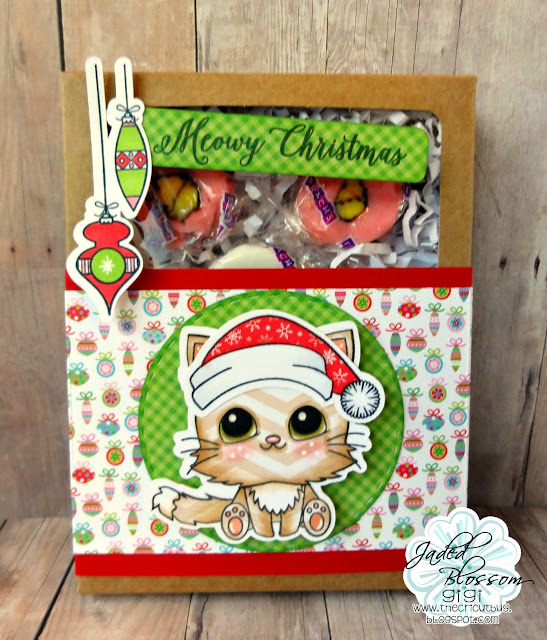 To finish, I stamped and colored the ornaments from the Christmas Panels and stamped the sentiment onto a hand cut tag from the Meow and Forever stamp set.